LOOKING for the perfect Christmas present for the boxing fan amongst your family and friends? Well, look no further than An Audience with Joe Calzaghe at St David’s Hall on Saturday 11 March 2017 for a rare opportunity to spend an evening in the company of the undefeated legend of the squared circle. Starting at 8.30pm, the boxing icon known as ‘The Pride of Wales’ will regale the Cardiff crowd with analysis and anecdotes from his astonishing pro career which came to a finale in 2008 with 46 wins, no losses and 32 knock-outs. Interviewing the man himself will be Darren Everest and Mike Crawshaw of The Overtones, and VIP ticket holders will have the chance to ask their own questions. Calzaghe made his professional debut on 1 October 1993 on the undercard of the Lennox Lewis vs Frank Bruno bout at Cardiff Arms Park. The 21-year-old rookie made short work of 23-fight veteran Paul Hanlon by knocking him out within the first round. From there, Calzaghe’s rise was meteoric and within four years he had defeated Chris Eubank via unanimous decision to win the vacant WBO Super-Middleweight Title. He also stunned spectators by knocking his formidable foe to the canvas in the opening seconds. Calzaghe went on to become the longest-reigning Super-Middleweight world champion in history having held the belt for over 10 years and a remarkable 21 successful defences before moving up to Light-Heavyweight. In September 2005, he literally defeated Kenyan boxer Evans Ashira one-handed after breaking his left hand in the third round. In March 2006, Calzaghe easily overcame bookmakers’ favourite Jeff Lacy before two triumphant homecomings bouts at the Millennium Stadium against Peter Manfredo Jr and Mikkel Kessler the following year. Calzaghe capped an amazing 12 months by being crowned the 2007 BBC Sports Personality of the Year. There was still time for two hotly anticipated fights across the Atlantic when Calzaghe recovered from first rounds knockdowns in both bouts to beat Bernard Hopkins and Roy Jones Jr on points in Las Vegas and New York respectively. On 5 February 2009, Calzaghe announced his retirement and became one of only 11 world champions to hang up their gloves as an undefeated world title-holder. Ricky Hatton labelled him “the best British fighter we’ve ever had”, whilst BoxRec rates him as the best Super-Middleweight of all time. Between 2006-2008, The Ring ranked him as one of the world’s Top 10 pound-for-pound boxers; reaching a peak standing of third in January 2009. As his Super-Middleweight and Light-Heavyweight reigns overlapped, he retired with the longest continual time as world champion of any active fighter. 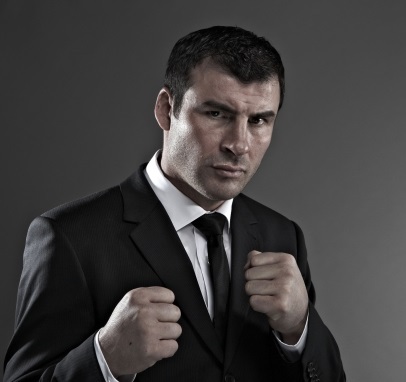 Calzaghe was deservedly inducted into the International Boxing Hall of Fame in 2014. Don’t miss this one-off chance to see boxing legend Joe Calzaghe sharing insights from his incredible career at St David’s Hall! * Seats in the first four rows. guaranteed that your question will be answered). * Personal Meet & Greet and photograph taken. *Plus a Ticket Service Charge of £3.95 per transaction and an optional 95p postage fee. To book your seats, please visit www.stdavidshallcardiff.co.uk or call the Box Office on 029 2087 8444.